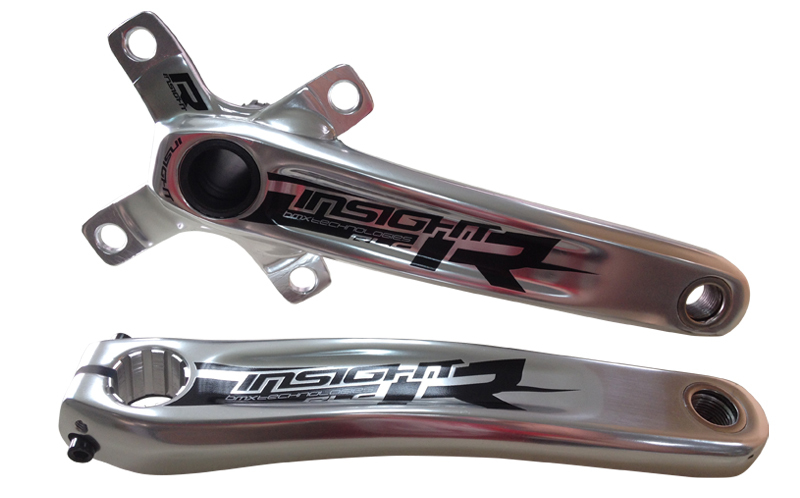 The all new Excess cranks are a forged Alloy 6061/T6 2-pc Crank Design. 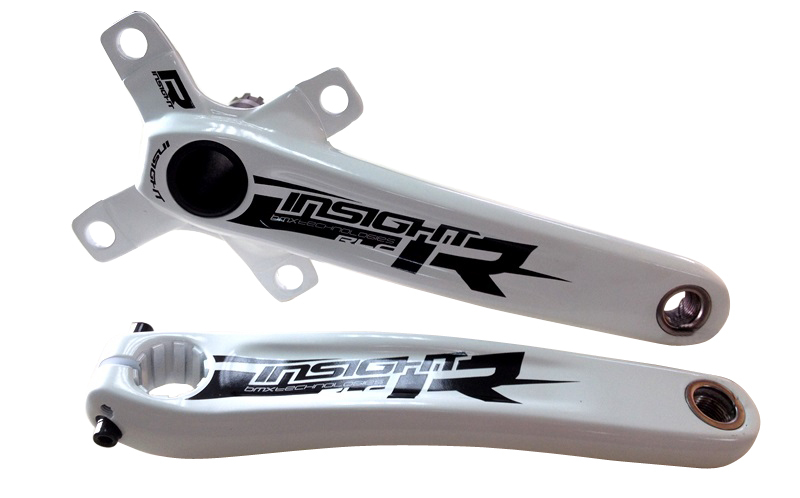 Features include a affixed 4 bolt spider, BCD 104MM with 42mm chain line, Press-fit Chromoly SCM435 BB spindle with Chromoly pedal axle inserts. 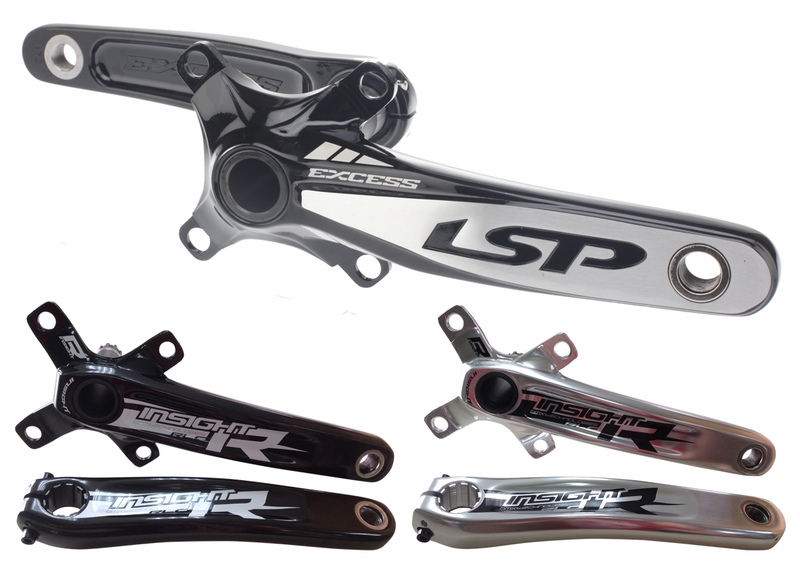 The LSP crankset delivers enhanced torque rigidity when pedaling. 3 Colors Options : Polished, Black, and White, with both of the colors featuring high polished accents. 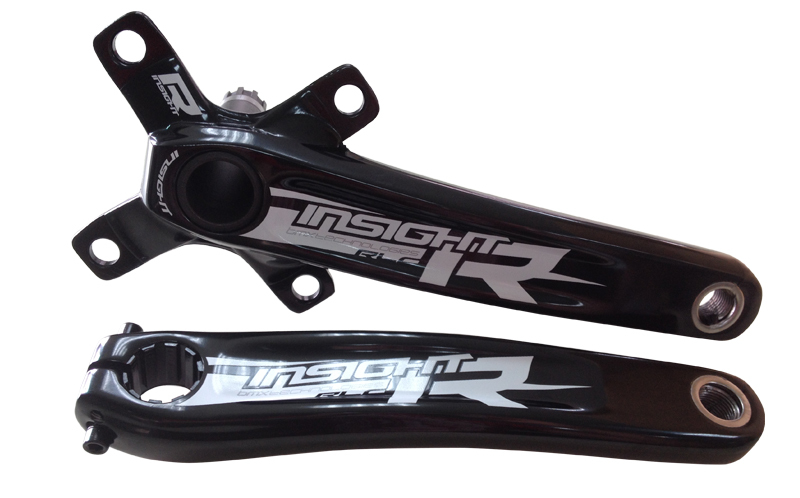 The all new Insight 2 piece Cranks feature a forged 6061-T6 alloy crank arms, with an affixed 104mm, 4 bolt spider and a 24mm 10-spline hollow chromoly spindle that is press fit into the drive-side crank arm. 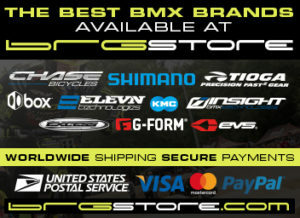 Easy on and off cranks arm, make these affordable set of race cranks one of the best buys to upgrade your BMX bike!